Malaysia, November 2014 – Looking for the perfect destination to celebrate the year-end festivities with exciting activities and great food with your loved ones? Starwood Hotels and Resorts Malaysia is inviting travelers to immerse themselves in the fun festivities of the season with a variety of celebrations that promise a fabulous way to bid 2014 goodbye. Located in the heart of Kuala Lumpur, Sheraton Imperial Kuala Lumpur is an urban oasis for travellers seeking the true Malaysian experience and impeccable service. 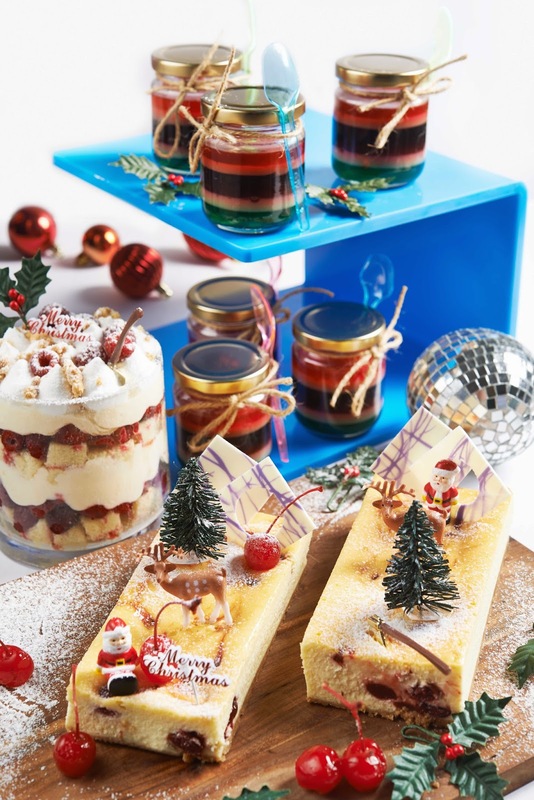 This year, Sheraton Imperial Kuala Lumpur will be celebrating the festive season with an All White Christmas theme with a line-up of amazing promotions for you and your family. 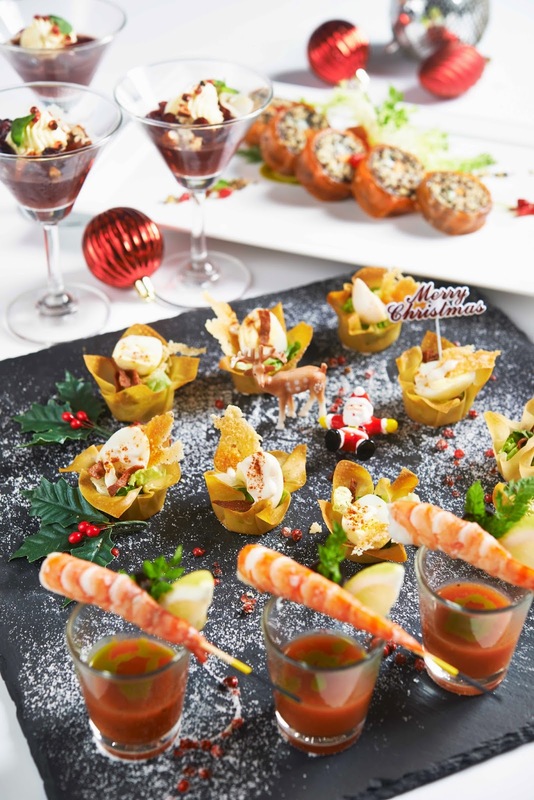 Celebrate Christmas Eve in style at Essence with a delectable buffet dinner which includes dishes such as the Stuffed Snow Crab Meat in Grilled Baby Capsicum, Coconut Mousse with Passion Fruit Jelly Yule Long, White Tiramisu in Shot Glass and many more! The buffet is priced at RM138++ per person (food only) or RM178++ per person (inclusive of free flow of house wine and draught beer). Exciting prizes await the lucky winners of the lucky draw competition while kids are entertained by the fun and friendly Santa Claus. Alternatively, for those who seek an Italian flare this Christmas Eve, Villa Danieli would be the ideal choice! An Antipasto buffet inclusive of a 3-course set dinner is available from 6.30 pm to 10.30 pm. Indulge in a scrumptious spread of cuisines specially prepared by the talented culinary team with menu highlights such as Wood-fired Oven Spiced Chicken Drummet Salad, Roasted Stuffed Turkey Roulade with Spinach, Thyme infused Pumpkin Mash, Orange Glazed Baby Carrot, Wild Mushroom and Cranberry sauce, Warm Chocolate Pudding with Marinated Fruits and Chill Lemon Granita, and the list goes on! The spread is priced at RM220++ per person (food only) or simply add an additional RM150++ per person to enjoy the Allegrini wine pairing. On Christmas Day, gather your family and friends at Essence for a delectable buffet brunch at RM158++ per person (food only) or RM220++ per person inclusive of free flow house wines, champagnes and draught beers. Parents can enjoy a peaceful dining experience while their children are entertained by Santa Claus with exciting activities such as face painting and sand art. The buffet lunch spread is available from 12.00pm to 3.00pm. As New Year’s Eve draws closer, bring your loved ones for a buffet spread at Essence for just RM158++ per person (food only) or add an additional RM50++ per person to include a free flow of wines and draught beers. For an intimate dining experience, Villa Danieli offers an Antipasto buffet inclusive of a 4course set dinner menu at RM230++ per person (food only). The joyous celebration continues on New Year’s Day with a buffet brunch at Essence at RM168++ per person (food only) or at Villa Danieli at RM138++ per person (food only) or simply add an extra RM220++ per person to include a free flow of house wines, champagnes, draught beers, juices and soft drinks. For those who fancy cocktails, this one’s for you! Enjoy classic Christmas cocktails inspired from 10 different countries at Pavilions Lounge throughout the month of December. The cocktails are priced at RM25++ onwards and are available from 12.00 pm to 1.00 am. Celebrate the last day of 2014 at Nook with a buffet spread specially prepared by the talented culinary team. 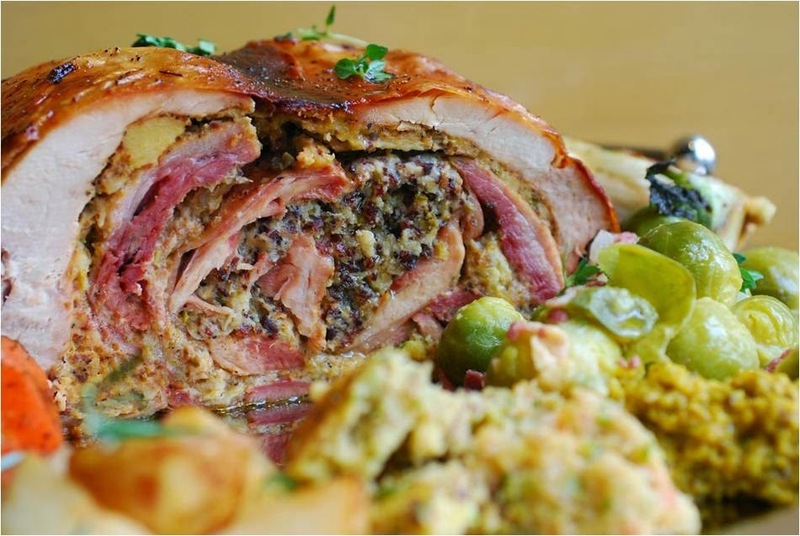 Indulge in mouthwatering dishes such as Chicken Liver Pate with Raisin and Orange, Salmon Mousse with Cucumber and Dill Cornet, Mince Cheese Cake with fun toppings and much more! The promotion is priced at RM110nett per person (food only) or RM188nett per person (inclusive of free flow of soft drinks, chilled juices, red and white wines) from 6.30 pm to 10.30 pm. If you miss out on the buffet spread during New Year’s Eve then be sure to make your way to Nook on New Year’s Day from 12.00 pm to 3.00 pm to enjoy the mouth watering dishes. Escape to an oasis of peace and tranquility in the heart of the city at The Westin Kuala Lumpur. Treat yourself to a Christmas Eve Buffet Dinner and Christmas Day Champagne Brunch at Prego with an exquisite festive spread together with your loved ones. The promotion is priced from RM168++ per person to RM376++ per person. Top up an additional RM278++ to enjoy a bottle of Moet & Chandon Imperial Champagne. 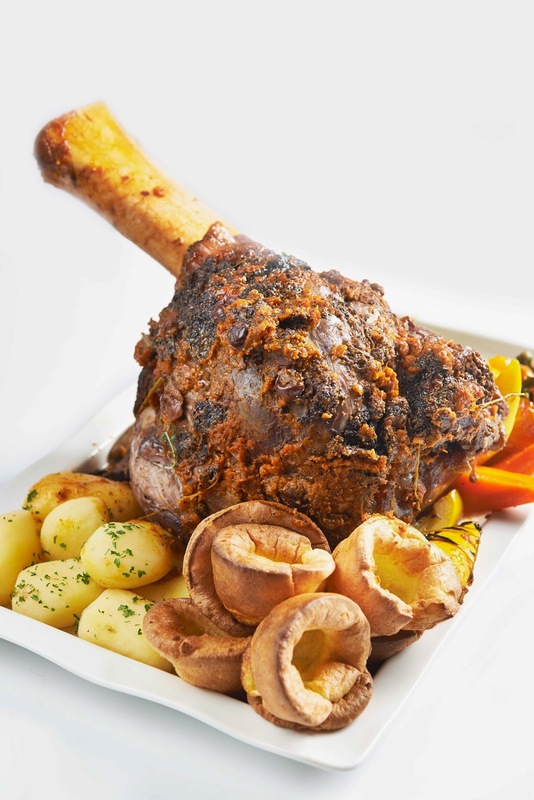 Alternatively, you could also dine at The Living Room which features an array of lip-smacking dishes such as Grilled Oysters with Fennel Butter and the hotel’s signature Salt encrusted Roast Prime Rib at RM140++ per person or top up an additional RM60++ per person to enjoy unlimited red and white wine. For a more oriental flare, head over to Five Sen5es and indulge in a 7 course set dinner menu expertly prepared by Chef Tan at the price of RM138++ per person inclusive of all you can eat dessert! Your choices don’t end there; enjoy an authentic 4 course Latin American Grill dinner with friends and family at Qba Latin & Grill at only RM268++ per person (food only). Be captivated by The Living Room’s Hi-tea Buffet selection which features live stations ranging from a Seafood bar featuring a wide variety of fresh seafood, a Japanese bar with sushi and sashimi, and many more on Christmas Day! 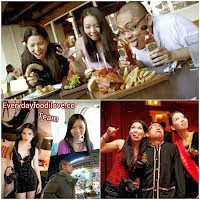 Experience all this at only RM108++ per person or add an additional RM60++ per person for unlimited red and white wine. Or you can opt for a delectable Dim Sum Buffet at Five Sen5es and enjoy freshly prepared dim sum and Hong Kong Style Roasted Pork Belly “Siew Yoke” and Honey Glazed Ham. This delectable offer is priced from RM118++ per person to RM 196++ per person. With a better you in mind, Westin will create an exclusive children’s playground on Christmas Day allowing adults to indulge stress-free. The little ones can enjoy complimentary access to the Kid’s playground with supervised games and fun activities with a specially designed kids buffet. Plus, children aged 5 years and below can dine for free whilst children aged between 6 to 12 years old will receive a 50% discount. Welcome new beginnings at Prego with their famed Champagne Brunch on New Year’s Eve with a mouth watering buffet menu priced from RM 168++ per person. Make your new year’s celebration extra special by purchasing a bottle of Moet & Chandon Imperial Champagne at RM278++ per bottle. Savour the last night of 2014 with a tantalizing New Year’s Eve Buffet Dinner and feast on succulent Lamb Shank with Plum and Rosemary, Roast Spring Chicken cooked in Lemon and Sage and much more at The Living Room. Enjoy all this at the price of RM130++ per person and top up an additional RM60++ per person for unlimited red and white wine. On the same night, Five Sen5es will be serving an authentic 7 course Cantonese menu at only RM138++ per person whilst Qba Latin Bar and Grill is offering a 4 course set menu at a special price of RM288++ per person (food only). After a fulfilling and satisfying dinner at Qba, guests are invited for an after party with live entertainment and guest DJ to ring in the New Year, starting from 11.30pm onwards. On New Year’s Day, come back for more great offers with a New Year’s Day Hi-tea Buffet at The Living Room at only RM108++ per person or add an additional RM60++ per person for unlimited red and white wine. Or indulge in a delectable Dim Sum Buffet at Five Sen5es, featuring delicious dishes such as the Spice Braised Spring Pigeon and Whole Roasted Pig, from RM118++ per person to RM196++ per person. For festive dining offers, Starwood Preferred Guest ( SPG ) enjoys a 20% discount on food only for tables up to 10 persons for reservations made before 20th December 2014. Table reservations at The Westin Kuala Lumpur are highly recommended at 03 2773 8338 or visit www.westindining.com.my to find out more. Only an hour away by flight from Kuala Lumpur is the mythical island of Langkawi, where one is transported into a nature haven – stretches of pristine beaches, serene landscapes of paddy fields, colorful floras and faunas, azure waters of the Andaman Sea and fascinating legends. On the island, year-end festivities are one of the most awaited celebrations, marked by get-togethers and festive cheers to welcome the New Year with unparalleled joyful activities – tailored for celebrations with families and friends. The Westin Langkawi Resort and Spa boasts unique venues for creative events in a strategic locale close to the main town and shopping area. The resort is an idyllic place for renewal with its remarkable 202 rooms and suites, as well as 20 luxurious private ocean view pool villas, designed to blend natural beauty and serenity with exceptional amenities for your convenience. Head down to Seasonal Tastes Restaurant to enjoy a splendorous Christmas Buffet featuring Yuletide specialties specially prepared by the talented culinary team. Pre-dinner cocktails are available at Breeze before adjourning to the buffet corner. Alternatively, if you prefer to dine in an outdoor setting, spend your Christmas under the stars by the poolside, whilst the little ones are occupied with exciting activities coordinated by the recreation team. The buffet package is priced at RM290+ per person (including alcoholic beverages) or RM230+ per person (excluding alcoholic beverages). Children aged 9 years old and below can dine for free while children aged between 9 -12 years old will enjoy a 50% discount off the total food bill. The Splash BBQ Dinner is available daily from 7.00 pm to 10.30 pm, except on Tuesdays and Fridays. Alternatively, opt for a cozier ambience at Tide Restaurant with the spectacular Andaman Sea as a backdrop for your Christmas celebration. Indulge in an exquisite 4-course menu specially crafted by the talented chefs at only RM380+ per person (including alcoholic beverages) or RM320+ per person (excluding alcoholic beverages). For an intimate celebration with your other half, a romantic 4- course set dinner menu at the Float awaits at only RM899+ per person inclusive of one complimentary bottle of Champagne. 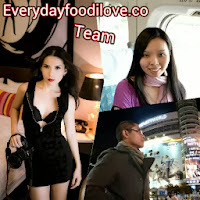 To add to the exclusivity of this dining experience, only 4 couples will be allowed to dine per night. So wait no further and start making your reservations now! Themed the “Begin Anew Cocktails” New Year, the year–end festivities start with pre-dinner Champagne cocktails and Canapés at the Breeze Lounge, and then, you are invited to proceed to either the Grand Ballroom or the Convention Centre Lobby for a buffet dinner. Both buffet packages are priced at RM1, 200nett per adult and RM450nett per child aged between 10 to 12 years old. Finally, usher 2015 in an electrifying environment, the eye- catching poolside party themed “Las Vegas” complete with Live DJ sets, live bands and an open Champagne Bar! Dance, socialized and be entertained whilst watching the fireworks display to officiate 2015 at the strike of midnight! The Andaman, A Luxury Collection Resort equally offers an unparalleled location as it is cosily tucked away between a 10-million year old rainforest with 178 rooms overlooking the tranquil Datai Bay and a 8,000-year old fringing coral reef. Abundant with rare wildlife and exotic flora, The Andaman's magnificent locale enables guests to partake in a wide range of activities that integrate the surrounding nature while still enjoying the luxurious trimmings of a five star resort. Experience an exquisite Jungle Bells BBQ Dinner during Christmas Eve at Tepian Laut with mouthwatering dishes that include a Seafood Tower, Oyster Bar, Whole Lamb Carving and much more. The dinner is available from 7.30pm to 10.30pm and is priced at RM265nett per adult and RM90nett per child (aged between 4 to 12 years old). In addition, children aged between 3 years old and below and SPG Kids will dine for free. While parents are entertained by Christmas carols and live band performances, the little ones will be entertained by clowns and a festive movie. Themed Masquerade Night, don’t miss out on THE celebration of the year to bid farewell to 2014! At a compulsory surcharge of RM900nett per adult and RM237nett per child aged between 4 to 12 years old, in- house guests can embrace the splendor of New Year’s Eve by celebrating at either the resort’s Ballroom or Level 2 Foyer with a gala dinner before adjourning to the anticipated countdown party. Located on the northwest coast of Peninsular Malaysia by the Straits of Malacca is the beautiful island of Penang, the perfect place to discover interesting places and local delicacies during the holiday season. Whilst you are here, visit the Four Points by Sheraton Penang for a splendid festive cuisine spread specially created by the hotel’s culinary experts. Experience an amazing BBQ buffet dinner spread featuring steaks, poultry, seafood and a host of other festive delicacies at The Eatery on Christmas Eve and New Year’s Eve all at great prices! This buffet promotion is priced at RM130+ per adult and RM65+ per child (aged from 12 years and below) and is inclusive of free flows of wine, beer, soft drinks and fruit punch. Bring your loved one for a special 4 course set dinner menu which will surely elevate your dining experience on Chirstmas night and New Year’s Eve. The set dinner is priced at RM130+ per adult, inclusive of a complimentary bottle of red or white wine. Menu highlights includes a scrumptious Salmon Gravlax , Lobster tortellini infuse with truffle oil, Turkey Breast Ballontine with foie grass mushroom and chestnut stuffing and Guanaja Chocolate Fondant with Strawberry Chocolate and Vanilla Ice Cream to name a few. ShapeAlternatively if you’re looking for a good spot to hang out with a great selection of beer, then head down to The Best Brew that opens daily from 12.00pm to 5.00pm. Guests can enjoy a variety of beers priced from RM65+ onwards with the Beer O’ Clock promotion. It gets even better during rush hour from Sundays to Thursdays; 5.00pm to 11.00pm where with every purchase of beer, guests will be entitled to a complimentary glass of house pours, wines or a Carlsberg draft. Plus, don’t miss out on their signature dish – Chicken Tandoori Tortillas which is available at the price of RM6+ per set. If you’re heading east, Starwood Hotels and Resorts in Sabah are all set to provide you with 5-star service as you experience the unique attractions and eco-tourism the state has to offer. 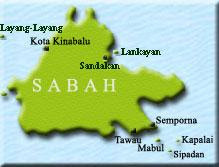 A naturalist’s paradise, Sabah is a haven for all things nature - from breathtaking diving spots and challenging jungle trekking trails to exciting wildlife spotting activities. This beautiful state is also popular for its picturesque natural terrain, beautiful beaches and adrenaline pumping adventure sports. Further up north of Sabah, Four Points by Sheraton Sandakan offers uncomplicated comfort. Situated on Sandakan’s prominent waterfront overlooking the Sulu Sea, the hotel is set to give you and your partner a perfect getaway this festive season. 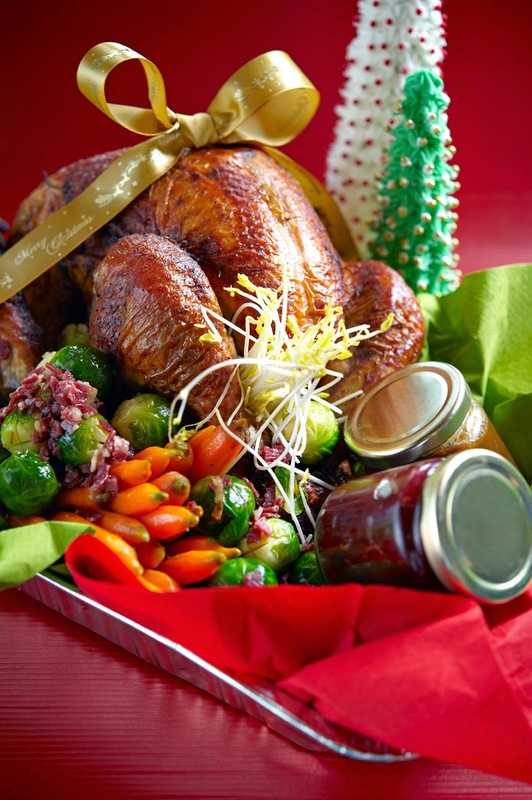 To welcome 2015, the hotel team has a lineup of exciting culinary and countdown events for the year end festive season. Discover a great dining experience featuring a deliciously laid out buffet spread at The Eatery during Christmas Eve and Christmas Night. The buffet package is priced at RM98++ per adult; RM68++ per person (senior citizen aged from 60 years old and above) and RM49++ per child aged between 6 to 12 years old. A special Christmas cookie will be given to each person during the dinner. In addition, SPG members will be entitled to a 10% discount off the total food bill. Enjoy the New Year’s Eve evening with a delectable array of international and local cuisines at The Eatery all at great prices! Menu highlights includes Roast beef, Yorkshire pudding, Satay, Pennel al Pomodoro Crudo & Carbonara and many more! Priced at RM98++ per adult; RM68++ per person (Senior citizen aged from 60 years old and above) and RM49++ per child aged between 6 to 12 years old. Continue your night at The Best Brew, and celebrate at the best countdown party in town with energetic live performances, DJ performances and more. Party on at only RM35nett per person, inclusive of one glass of beer, wine or soft drink. Get 4 complimentary entrances to the party when you purchase one bottle of hard liquor. Plus, the first 50 covers will also receive one Best Brew t-shirt compliments of the hotel. 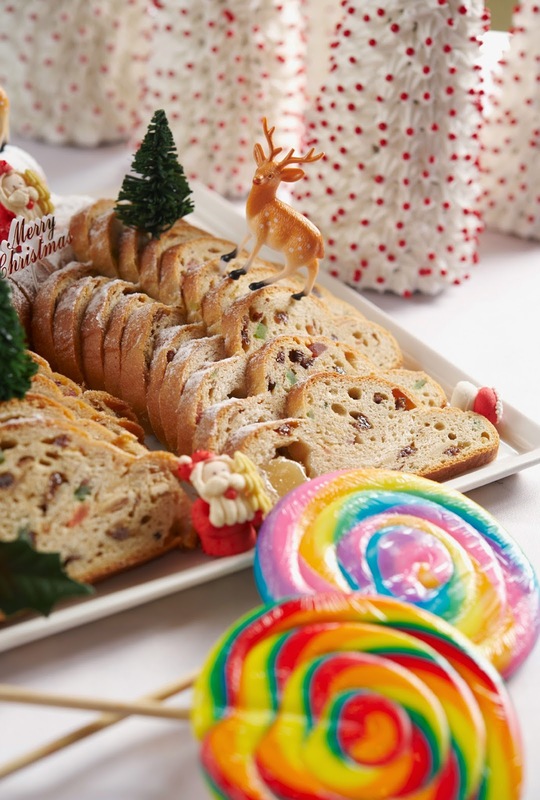 In addition to that, if you’re looking for some sweet treats this holiday season, head down to Wrapped for a host of delicious Christmas Goodies. You’ll be spoilt with choices such as Christmas Fruitcake, Christmas Cupcakes, Gingerbread and much more, at the price from RM4.50++ onwards. SPG members are entitled to a 10% discount or 20% discount for every spending of RM300nett and above. Now you can start planning a fantastic year-end celebration with your loved ones at any of the Starwood Hotels and Resorts in Malaysia to welcome 2015. 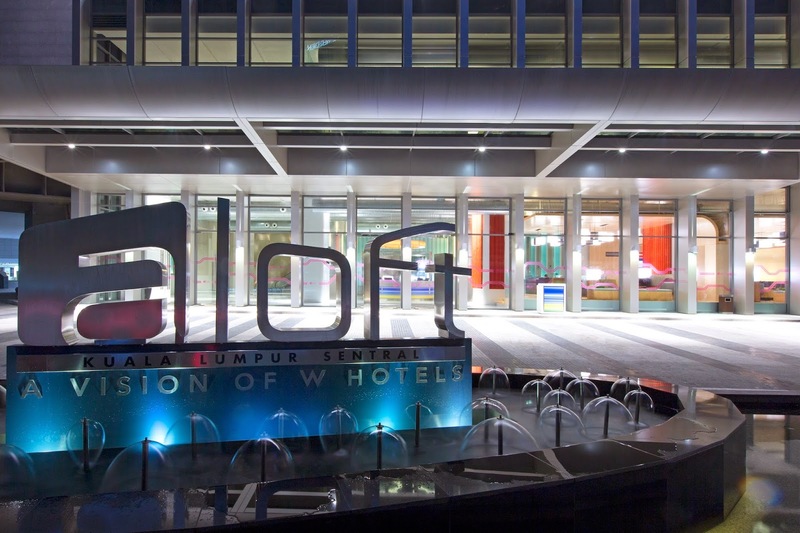 Be it in the city of Kuala Lumpur, mythical island of Langkawi or even Borneo, we have it all for you!